Conan offers calving ease and performance in a correct package, he has an excellent set of feet. 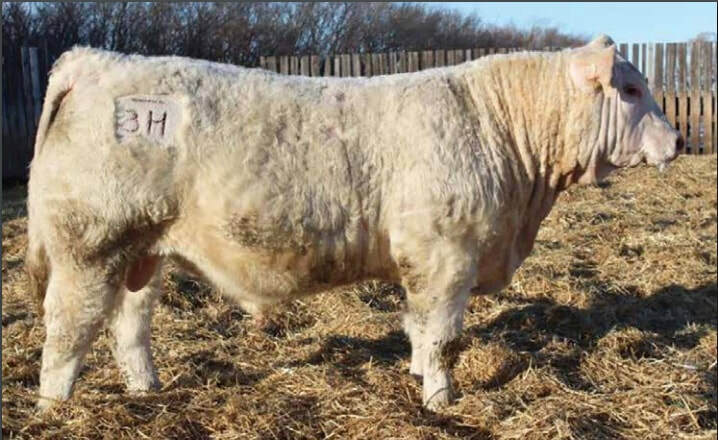 Proven calving ease bull. His first set of calves hit the ground with no calving problems on heifers. 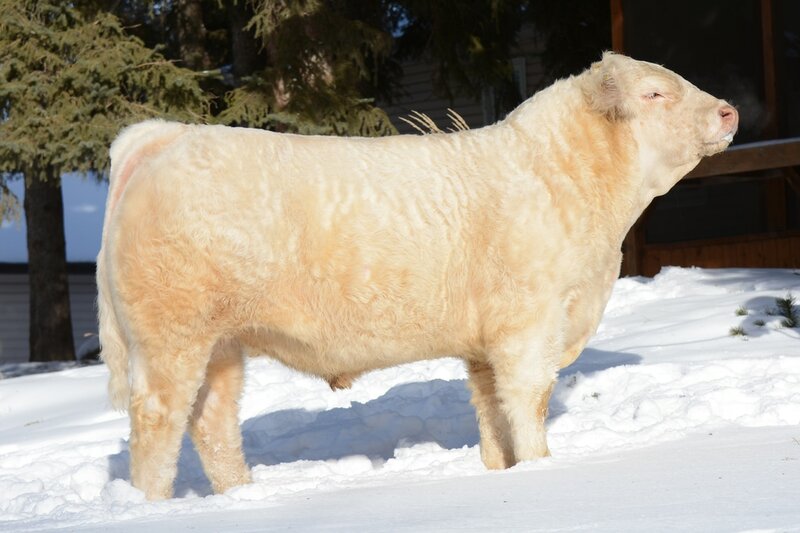 Chip is Homo polled / Leptin TT, he is very long, soggy and meaty we are looking forward to seeing his first set of calves spring 2017. We had our first calf crop off Bullitt last spring (2015). They all had consistent weaning weights, lots of hair and very quiet disposition. His calves were all born unassisted. 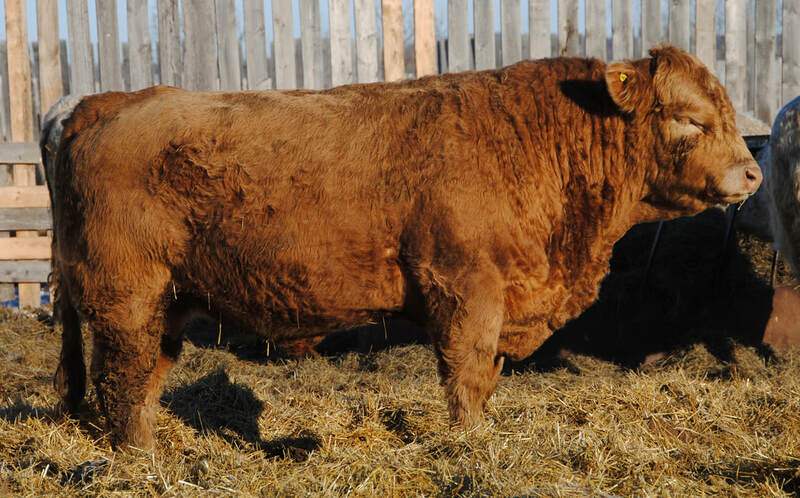 We will be breeding his first heifers spring 2016. Bullitt's females have very quiet dispositions and lots of hair just like him. They have beautiful udders and are turning out to be great mothers.